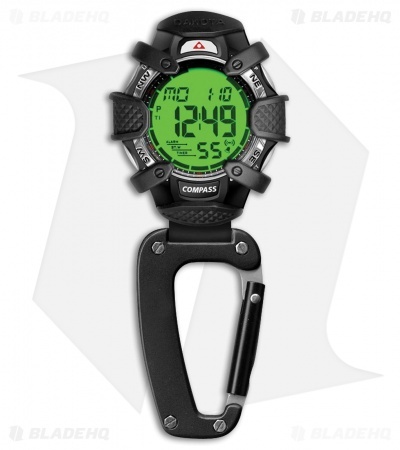 The Dakota Tough Clip is a digital watch with a black aluminum attachment clip that you can secure to a backpack, jeans or just about anything else. This is packaged in a transparent H2O water resistant box. Black rubber FOB/case back protector. Electronic compass with digital direction indication. Water resistant up to 165 ft.
Digital resolution of 1 degree.